I Christmas shopped at a local mall today. While there I tried a new place for lunch. 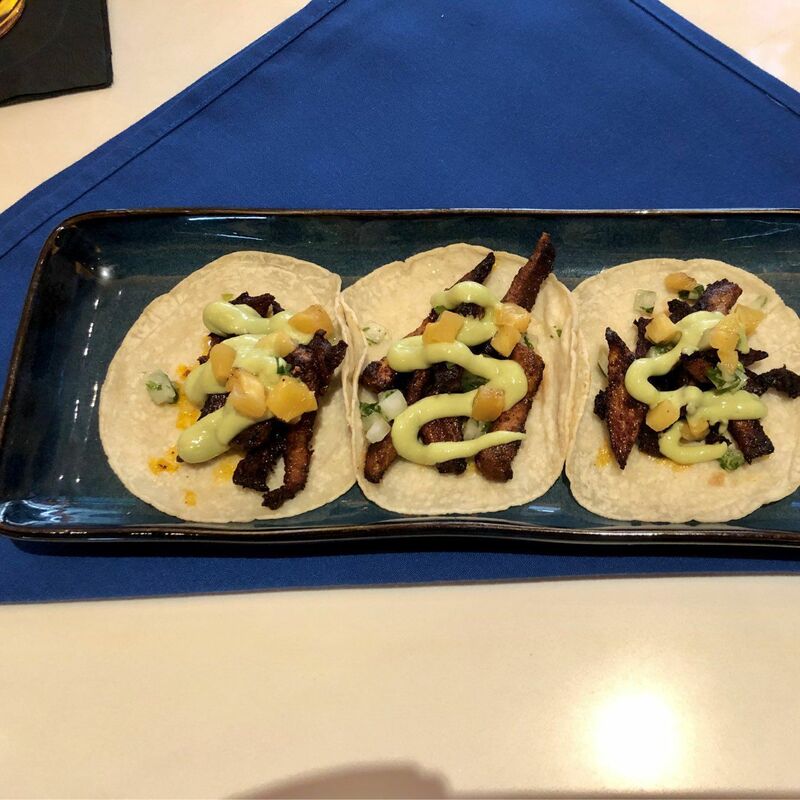 The tacos al pastor were small (suited me well) and very tasty. 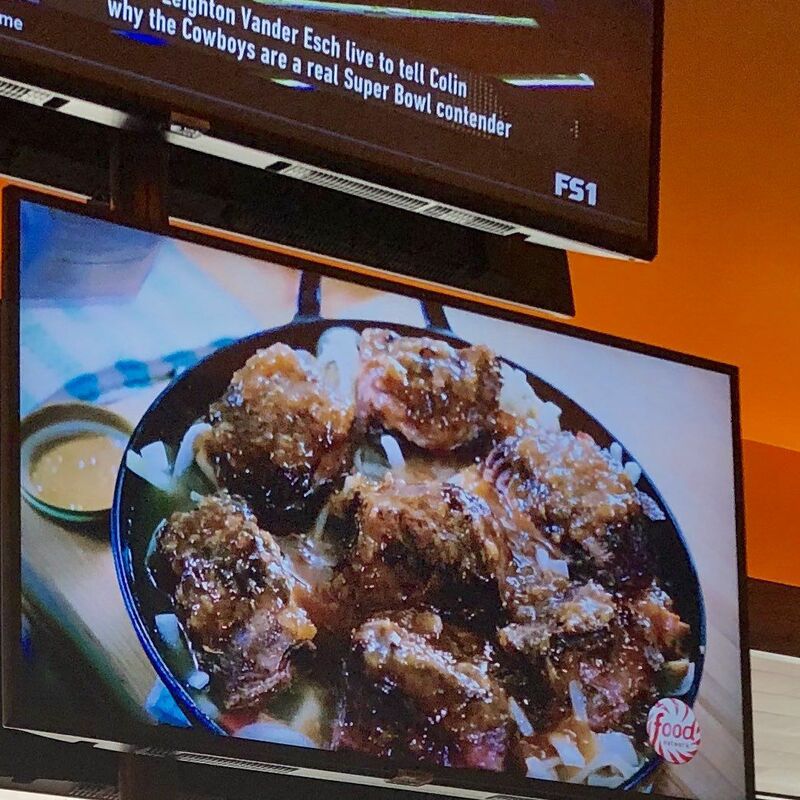 In addition to the requisite ESPN on the TVs over the bar they also had Food Network playing. I wondered if that is a strategy?